Well on the weekend I saw the latest installment in the Marvel Movie line, Captain America 2: The Winter Soldier. I can’t describe how much I was looking forward to this movie, and it didn’t disappoint. It made me wonder though, why do I like the Marvel movies so much? To be honest I don’t really know where it all started, my earliest memory of anything marvel has nothing to do with the comic books, I was never a comic book fan as a child and I don’t really remember my parents ever letting me have them. My earliest memory is of the cartoons that were produced. I am pretty sure my first memory was of Iron Man as a cartoon and I really enjoyed it. It kind of went from there. Fast forward to the first Iron Man movie, which was really the first of the new “Marvel” series. After a long long period of time between when I first saw the cartoons and then saw the movies, it brought that fascination back to life. I loved the first Iron Man movie, it felt to me like Marvel really understood what making a good movie was about (Robert Downey Jnr was a perfect choice to play Tony Stark) and I grew to love the proceeding movies even more. When Avengers came out (I was in Seattle on my round the world trip at the time) I was like a giddy school girl, wanting to see it days after release. The first Captain America movie was great and I lapped it up. Late last year Marvel took their first step into Live Action TV shows in quite some time with “Agents of S.H.I.E.L.D.” (I just call it Shield) and I loved every minute of it. Though not really to do with movies the back story kind of works around it all and I was hooked. When I saw the latest episode of Shield I was a bit shocked by the story line (no spoilers here) I knew about the background of what happened but it was like “where the hell did this come from”. Had I seen Captain America 2 first, it would of made sense. When I saw it on Sunday, things became clear…. it is all linked, even the tv show. Linking the movies together over several years is a great thing to do for money but stretching it out over time, makes me go crazy. I still say that the 3 worst words in the english language are “To Be Continued” and this is kind of what it feels like (just with a several year gap between movies). I can’t complain that Marvel are doing justice to their own comics and making a movie that is not only entertaining but keeps fans talking about it for hours and days afterwards. Captain America 2 to give you my thoughts on the movie, it was dark, it was moody and it was action all the time. At one point I did see a tear in Heidi’s eye. If this is the kind of movie that Marvel is going to produce… Bring it on! The research continues! Since the weather turned to crap this weekend and cancelled my plans to go tulip photo hunting (though looking outside right now looks pretty good.. damn you weather! So I decided on Saturday morning that I would take another stab at a breakfast spot. I tweeted out to my usual suspects for some recommendations and did a bit of googling. I didn’t feel like eggs so filed away the options suggested to me for next time (got a number of good spots in mind now) and found Portage Bay Cafe.. they sounded like they had some good sweet options (I Do have a sweet tooth remember) so that was settled. They have 3 locations, Ballard, University and South Lake Union (SLU). Since it was Sunday morning I probably should of hit up the University location but with the 520 shut, instead I went to SLU. Figured it would of been quiet. But there is always one thing that helps, being a single person eating alone. You can slot in anywhere, and for me it was like walking in ahead of the masses. As someone was told it was a good 45 minute wait for a table, I was directed to a seat at the side counter… score! Portage Bay Cafe is more like the trendy kind of place with Vegan this, and gluten free that. But no matter what it all looked tasty. I got a coffee pretty much before I took my jacket off which was a half decent sign of service. The menu looked good but I was sticking to the top half of the menu. Let’s look at them individually shall we… first up the not so needed side of Pepper Bacon. Good (although not at all as peppery as it could of been), not 100% crispy, but not aussie crappy bacon either. So that wasn’t to bad. Bananas Foster French Toast! 3 big chunks of Challah dipped in “custard” (ie egg) and then grilled and topped with the most craziest of real caramel sauces. How do I know it was real caramel? The damn stuff was hardening on the plate! It was sooooo good. I grabbed some whipped cream, some flaked almonds (for that crunch) and some berries (Strawberries & Blackberries for some Tartness to offset the sweet) and tucked in!. My god it was good. The bread was as light as a feather so even though they looked huge, they were light and airy in the middle meaning it wasn’t as filling as you would think. Three pieces was the perfect size as it wasn’t to much but it was just enough. I saw some of the other meals go out while I was eating and they looked good. Although the special (which I never got given a specials menu mind you) Spare Ribs Benedict looked more like a Loco Moco to me, since it came with rice not bread. The service towards the end got a bit shoddy. My coffee was hardly ever refreshed, I was never asked if I was enjoying my meal and at one point a couple moved to the counter to my left (where there was only meant to be one person but they tagged on another spot). 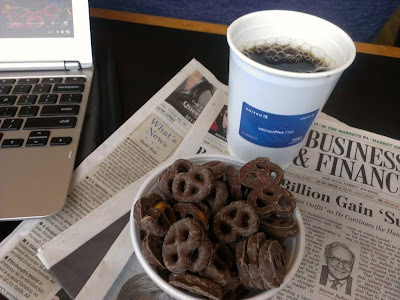 I had gotten up to go get some extra whipped cream cause I ran out and before I even came back they were planning to move into my seat… I hadn’t even finished. From that point in I felt like I was being pushed out the door! All up the food was good. The french toast would be worth the trip back that’s for sure. I would definately skip the bacon though. Price wise all up set me back $23 incl tax & tip, so about average for the preppy places. Definately more of a special occasion place than a “I feel like breakfast out” kind of place. With the amount of people there as well, it would be worth it to come early…. REAL early. I don’t know if the other cafe locations are as busy on a Sunday morning but if they are more busy than that, tables may come at a price. Definately recommended for the sweet tooth! Finished a very interesting book today. 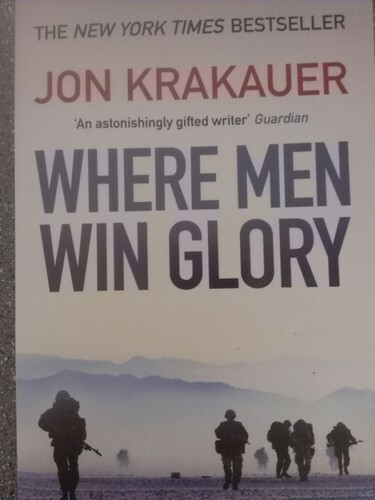 The book is Where Men Win Glory by Jon Krakauer. 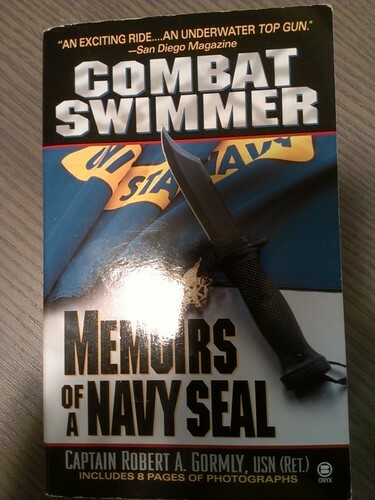 What the title doesn’t tell you is that this is a book on the Pat Tillman story. Who is Pat Tillman, well here’s the brief run down. Pat Tillman was an NFL player for the Arizona Cardinals. 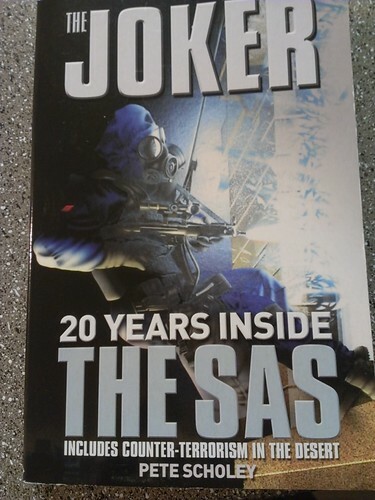 Just after the September 11 attacks in New York he gave up a very lucrative deal to instead enlist in the US Army as a Ranger and was deployed to Iraq & Afghanistan. Here’s the kicker. He was killed in Afghanistan by friendly fire. The book follows his life but also how Afghanistan’s tumultuous history saw the beginning of the taliban and other tribal factions. So not only do you grt Pat Tillman ‘s history but also why he was there. Then once you get to the day it happened the events are given a good amount of detail so you can understand what happened. The aftermath and cover up is also covered which may have been a bit one sided but it does pose a good amount of questions. The whole premise of the possibility of many more unreported friendly fire incidents. The events never really made newa media in Australia and the book was recommended by a friend. 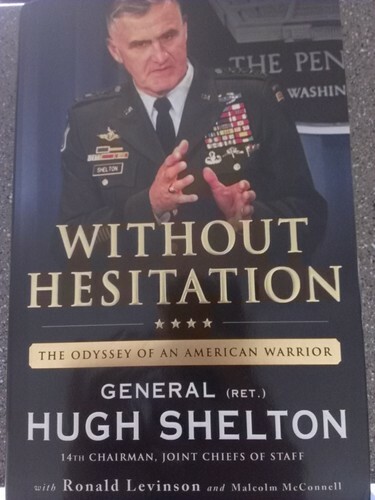 Well worth the read and makes you think about the real merits of selflessness and sacrifice. Worth the read! 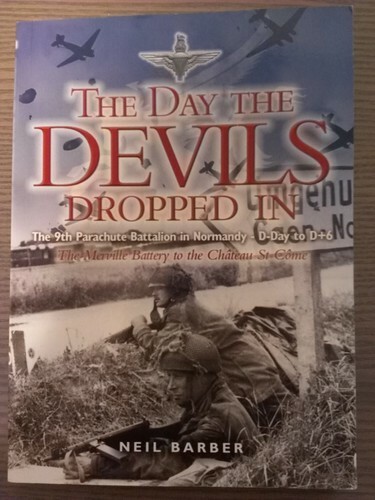 The book is “The Day the Devils Dropped In” by Neil Barber. This was a book recommended to me by our tour guide while in Normandy in 2011 (yes it has taken me this long to read it, judge me later). This follows the lead up to and the first few days (well 6 days) of the Normandy campaign for the 9th Parachute Battalion of the British Army. On D-Day the biggest mission for the 9th Para was the attack on the Merville Battery and after visiting the site back in 2011, I really did want to read up a bit more on it as it was this crazy attempt at attacking a heavily fortified position, but that did not go according to plan at all, yet they still managed to pull it off. 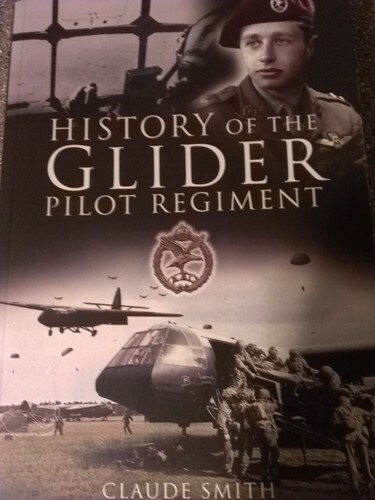 It is a good book and interesting to read on Normandy airborne campaign from a Non US perspective (as the US did kind of dominate this campaign). What I learned from it though was how different the British armed forces are compared to the US Armed forces. With talks of “assistants” and “batman” etc it is very different to what you would expect to see, or even read about and compared to other countries. A pretty good read, mind you it is not at all that long (190 pages) and I managed to finish it off in less than a week. Another year of Football is now complete with Yesterdays Superbowl. Pretty much I no longer have any real interest in sport for another 6 months or so…. Awesome! The Superbowl was a bit of a dissapointment to me 2 weeks ago when the Patriots lost to the Ravens, so it wasn’t really as big of a deal as it could of been had they won. So even though I was at home, watching on the tv (with a friend who was visiting) and relaxing, I still enjoyed it. The best thing about the game was watching it live on TV and getting the ads as well. Finally I get to see what all the fuss was about with Superbowl ads and I have to say, it was pretty cool! Getting to watch the ads going live to air, talking about them live on Twitter as well. Good way to spend an evening. The game itself was good to! Funniest thing of the whole night was the Power outage just after half time and when the 3rd quarter had just really begun (about 2 minutes in) and out goes the power. Twitter was amass with “Whats going on” “Is anyone else not getting sound” stuff like that. Eventually partial sound came back on, word got out, and then the jokes started rolling in. The best call of the night went to Oreo’s though with this tweet created meer moments into the outage. Maybe it was all them but who knows! It was an awesome call! Looking forward to next season, I should hopefully get to see some interesting games, maybe a Patriots game at home? Who knows!